What Is The European Capital Of Culture? Every year, the European Union designates a city or a few cities as the European Capital(s) of Culture. Sebastián (Spain), the European Capital of Culture for 2016. Every year, the European Union selects one city from its member countries to be the European Capital of Culture. Under this nomination, the city hosts various cultural events throughout the year. Becoming a European Capital of Culture is beneficial on both a social and economic level. This is because it brings international attention to the city and encourages urban revitalization, which is redevelopment and reconstruction. On a social level, it brings residents of the city closer together under their shared European identity. The European Capital of Culture got its start in 1983 when it was created by Melina Mercouri, then-Minister of Culture of Greece. She invited the other member nations’ Ministers of Culture to bring cultural awareness to the forefront of the European Union. Since then, the Ministers of Culture of the member states have held formal meetings every year. The European Union formally accepted the proposal in 1985. This nomination was originally named the European City of Culture. In 1999, it became known as the European Capital of Culture. The first city to be nominated was Athens, Greece. Currently, 65 cities have been chosen to hold this title (this includes multiple cities a year, beginning in 2000, and a projection through the year 2020). For 2016, two cities have been chosen as the European Capitals of Culture: San Sebastian, Spain and Wroclaw, Poland. 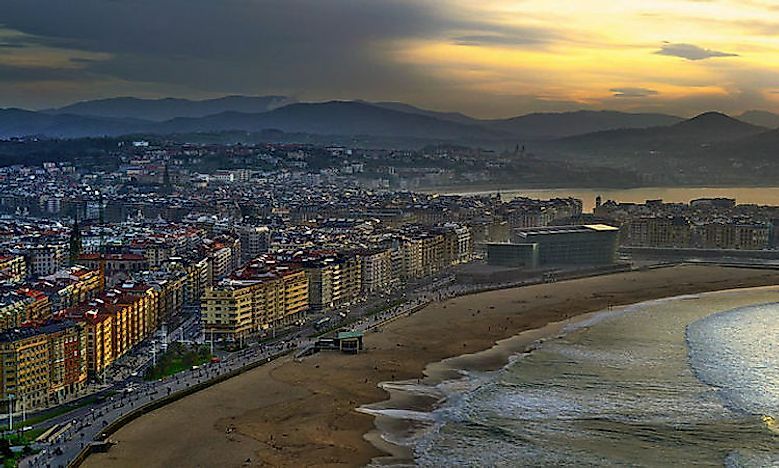 San Sebastian is located on the coastline of the Basque Autonomous Community of Spain. It has a population of 436,500 in the entire metropolitan region. It was chosen as one of the European Capitals of Culture due to its use of culture and grassroots initiatives against violence, particularly the conflicts with the armed ETA group. Even its motto is “peace and coexistence”. This city is home to several festivals throughout the year, including cinema, music, and theater. One of these events is San Sebastian’s Jazz Festival, the longest running jazz festival in Europe. To celebrate its designation, the city planned a special rendition of Tamborrada, its annual drumming parade that celebrates the patron saint in January. For 2016, it created a more European-styled event, including children from Wroclaw (the other 2016 European Capital of Culture). Beginning in March, the city hosted over 20 hiking excursions to get citizens active. They continued the year with special art, music, and film showings in the San Telmo museum, a Shakespeare play in the park, and an exhibit of the representation of peace in art. Wroclaw is located in western Poland along the Oder river. It has a population of 637,075. It was chosen as one of the European Capitals of Culture because of its multi-cultural heritage, including people of Czech, Polish, and German descent. Additionally, this city has a wide range of architecture seen in the houses, churches, and universities. Its objectives as a European Capital of Culture was to present itself to the international world, strengthen local pride and understanding, and increase tourism. To do this, the local government organized the year into the following themes: theater, film, visual arts, performance, music, opera, architecture, and literature. The city has put on various shows, exhibits, and interactive displays in order to promote conversation about its cultural growth in the past and the future. Which Country Contributes the Most to the Budget of the European Union?